FLINT, Mich. -- A pregnant woman fought off an attacker in a grocery store parking lot on Tuesday and gave birth soon after the ordeal, according to police in Flint, Michigan. According to the Flint Police Department, the woman was putting groceries in her car at a store in the city's east side when 30-year-old Mark Newton grabbed her purse. Newton tried to flee and the victim ran after him, police said. 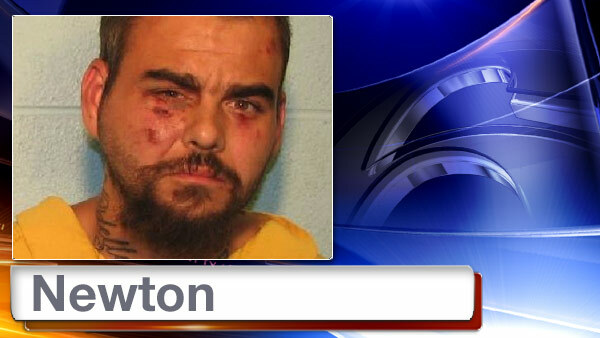 Newton, who police said was unarmed, then allegedly pushed the woman to the ground in an attempt to escape. The Flint Journal reports two bystanders stopped Newton and retrieved the purse, and that family members of the victim held Newton until police arrived. The woman delivered her baby later that day, police said. The suspect was arraigned on one count of unarmed robbery and ordered held on $8,000 bond. It wasn't immediately clear if he has an attorney.